Buried deep within comment contest replies in a post on the European PlayStation Blog, SCEE PlayStation Store team member Mike Kebby reveals a demo for Quantic Dream's Heavy Rain is heading our way February 11th. Today's PlayStation Store update on the Euro PlayStation Blog contained a comment contest to win free dynamic themes, so finding the exact comment in the post is much like searching for a needle in a haystack. Luckily we have reader Jorge to show us the way, along with the fact that comments from Sony staff are listed in black instead of white. 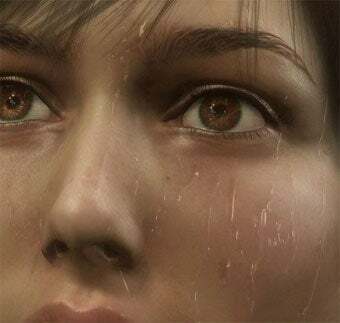 The comment simply reads: "Heavy Rain demo should be on the store on the 11th of Feb :)." Quantic Dream had indicated as early as August of 2008 that a demo for the game would be made available, so the comment certainly rings true. Besides, they don't just hand out spiffy black commenting privileges to anyone.